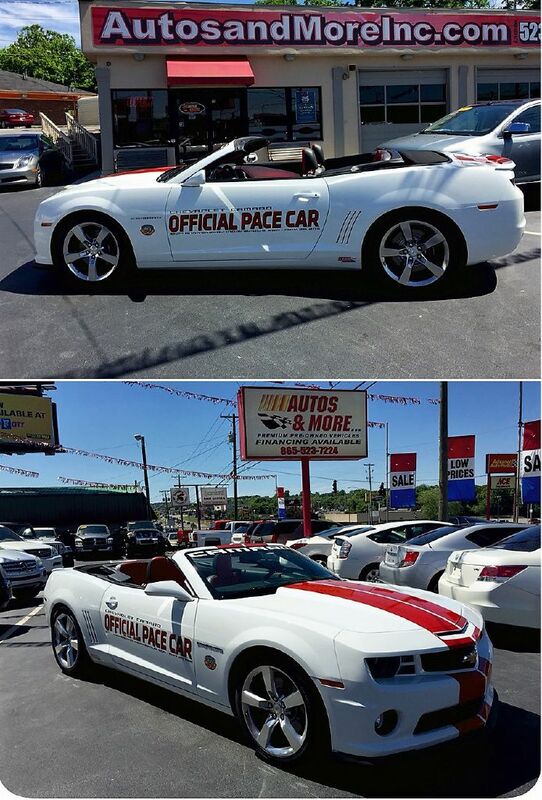 Brand New-The First & Only 100th Anniversary Official Indy Pace Car SS RS Convertible In East Tennessee! Limited Edition #192 of 500 Produced Worldwide! Never Titled Original MSO! This IS A Duplicate To The Car That Actually Paced The Indy 500 - Very Rare! You Must See This One! All Original Documentation & Factory Window Sticker! 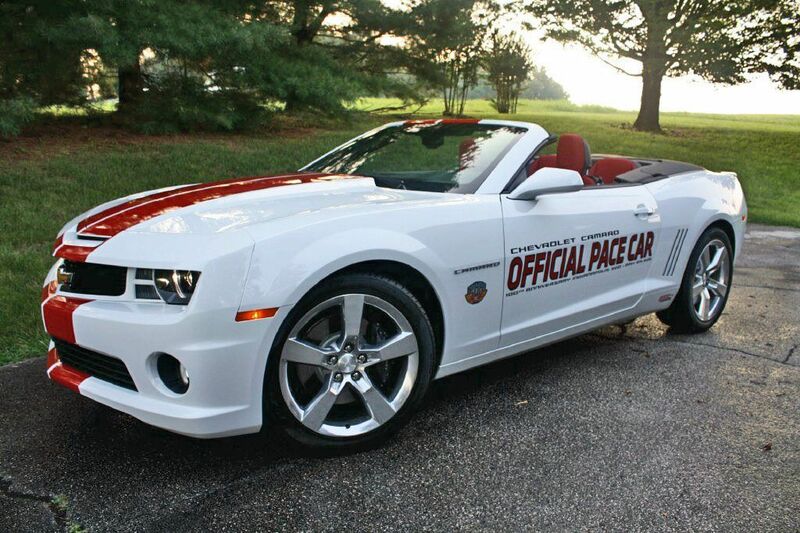 Equipped with a 400+-horsepower 6.2L FI V-8 engine and Six-speed Automatic Transmission, This Chevrolet Camaro Convertible Pace Car requires no performance modifications to perform its pace duty in front of the 33-car racing field. 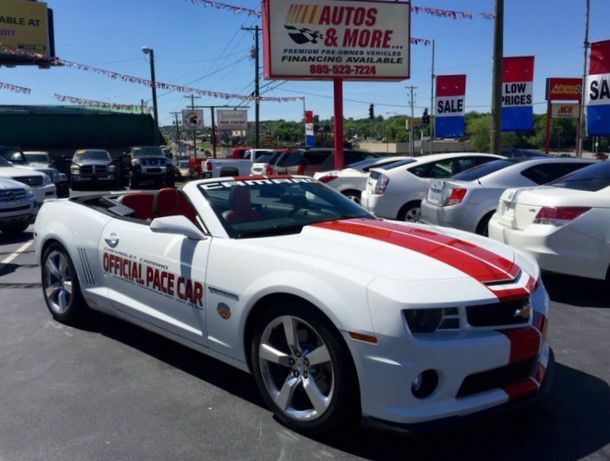 The color combination is similar to the design used on 1969 Camaro Indianapolis 500 Pace Car replicas cars which have become among the most popular Camaros in the collector world. This Pace Car features a Summit White exterior accented with Inferno Orange stripes and Official door graphics. The interior is trimmed in orange leather, including front seat headrests embossed with the Indy 500 logo, along with white door panels and instrument panel trim. The instrument panel trim features extensions of the orange exterior stripes. 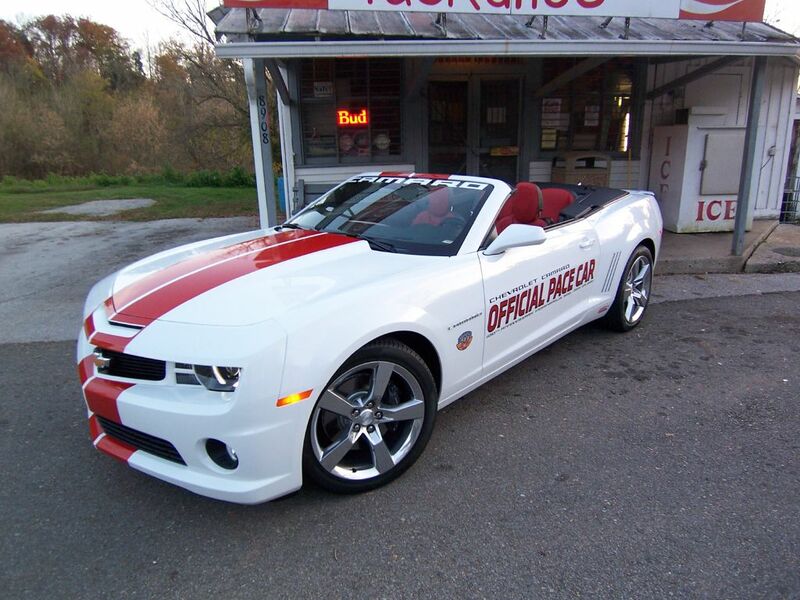 The color combination is similar to the design used on 1969 Camaro Indianapolis 500 Pace Car cars which have become among the most popular Camaros in the collector world. 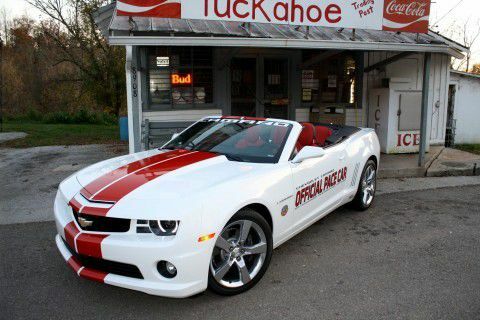 Youve Gotta See This One!! 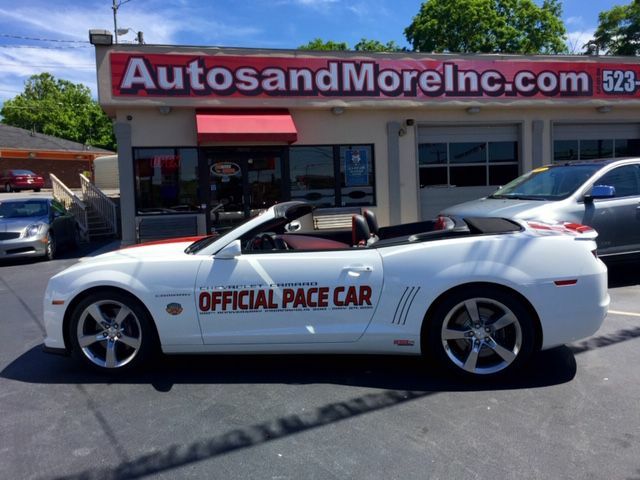 For pricing & more information Please Call Roger Allen 1-866-696-3183 TOLL FREE Voted Knoxvilles Best!!! 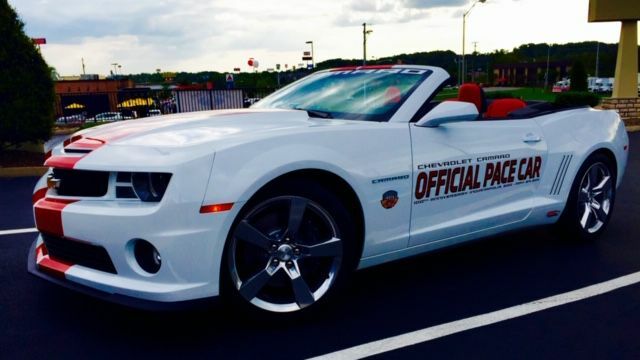 For Over 30 years Ive been serving the Knoxville area.